Grand Swirls from NASA’s Hubble « Adafruit Industries – Makers, hackers, artists, designers and engineers! Grand Swirls from NASA’s Hubble. This new Hubble image shows NGC 1566, a beautiful galaxy located approximately 40 million light-years away in the constellation of Dorado (The Dolphinfish). 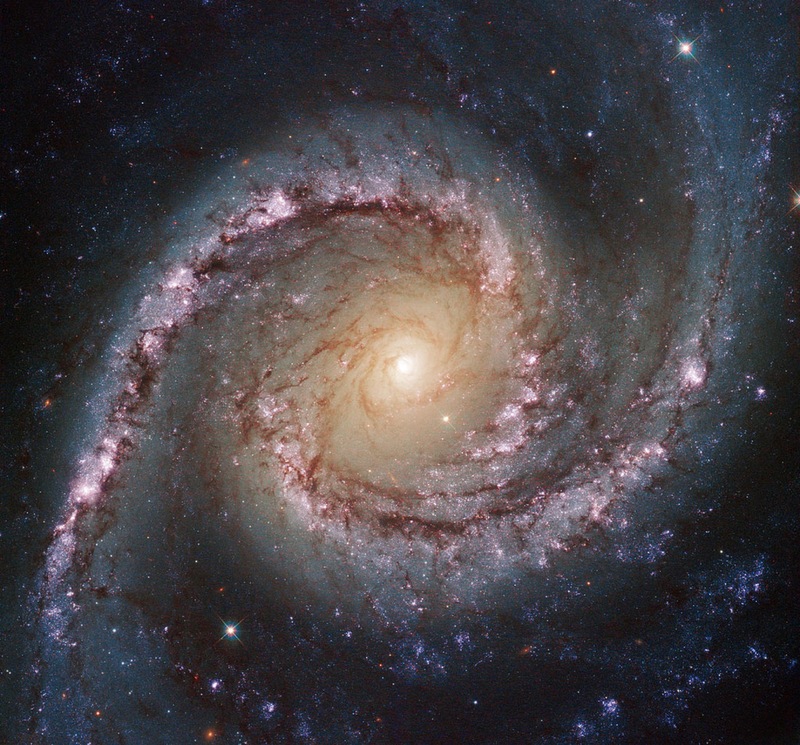 NGC 1566 is an intermediate spiral galaxy, meaning that while it does not have a well-defined bar-shaped region of stars at its center — like barred spirals — it is not quite an unbarred spiral either.